Delhi-NCR: There is a big case of negligence in the Delhi Metro Rail Corporation (DMRC). On Monday morning, a big iron iron guard collapsed on an auto and car on the subway building in Ghaziabad. 7 people were injured in this accident. This accident happened near Mohan Nagar in Ghaziabad. Work on the foot over bridge was under construction. There was a stir in the iron girder falling. This accident, the slogan of the Delhi Metro opens the pole of the security first. A spokesman of Delhi Metro Rail Corporation (DMRC) said, “According to preliminary information, it seems that a steel gurdar, which was set up to build a footover bridge in Mohan Nagar, fell below. However, we are just confirming the detailed report”. 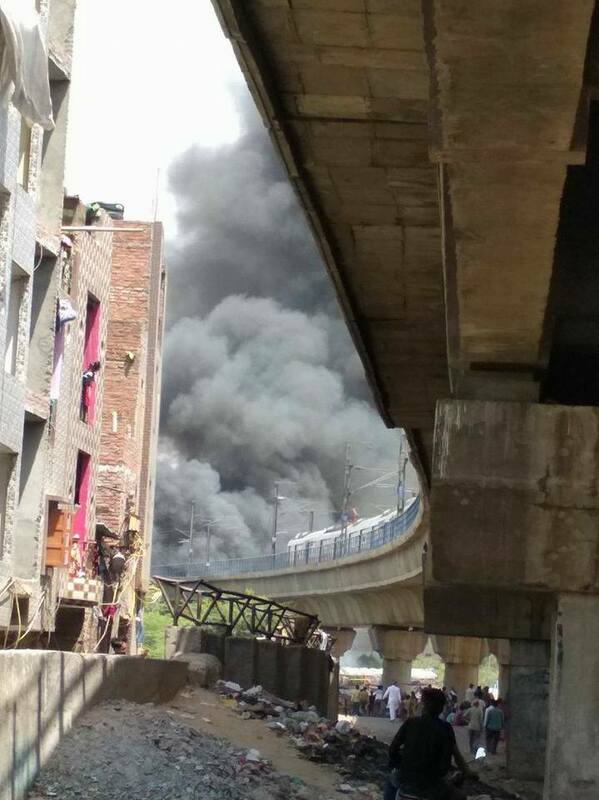 On the other hand, in the afternoon this afternoon, the Metro services between Dilshad Garden and Mansarovar Park stations remained suspended for nearly an hour due to the fire in nearby slums. 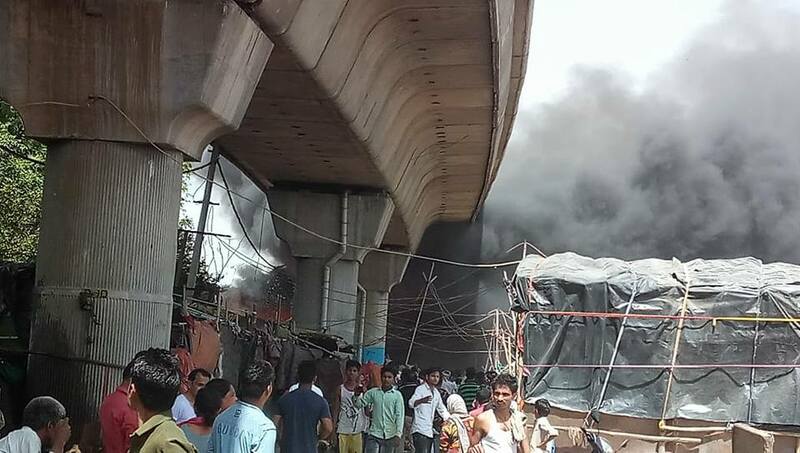 According to the Delhi Metro Rail Corporation (DMRC) at around 1.15 pm in the afternoon, news was reported that there was a fire in the slums situated between a bridge between Mansarovar Park and Shahdara Metro Stations. DMRC said in a statement that under the precaution, Metro services were suspended for three stations between Dilshad Garden and Mansarovar Park. Services on the remaining segment were normal. The statement said that normal services were restored at 2.33 pm in the afternoon. Meanwhile, according to the Delhi Fire Service, a phone call was made about fire. After this 15 fire engines were sent to the spot.